The web this spider weaves is fascinating, isn't it? Apparently the spider eats and then reforms it every night. I've never seen anything like it. 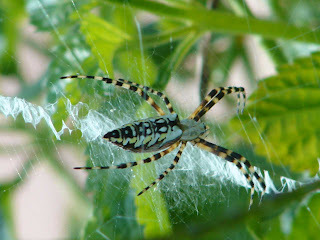 Black and yellow argiope are found throughout the US and Canada and are not considered harmful to humans. Happy Gardening.